Allows simultaneous programming of two different activities from 99 hours, 59 minutes, 59 seconds to 1 second. Resolution is 1 second; accuracy is 0.01%. Large 5/8-inch high LCD digits may be read from 20 feet. Each channel has a distinct electronic alarm and visual indicator when zero is reached. The alarm may be turned off or silenced automatically after 1 minute. Unique visual indication for each channel when counting down, green light flashes every second once the countdown time reaches 10 seconds. Red light flashes when zero has been reached and the alarm is sounding. 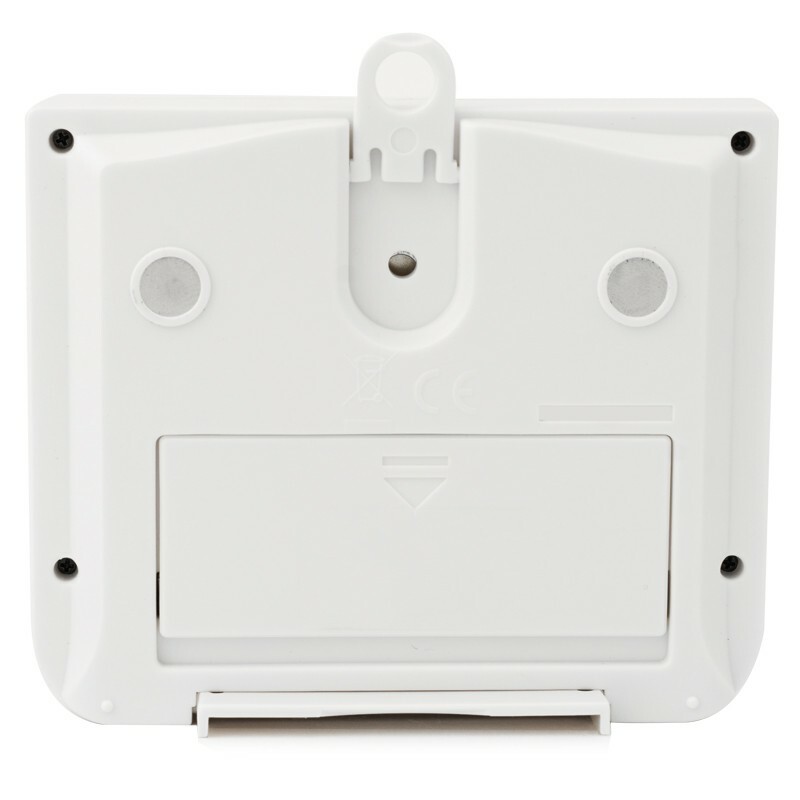 Alarm has three switch positions which allow setting to a high decibel for noisy areas, low decibel for quiet environments, or off (muted) for silent visual flashing LED only operation. For repetitive timing, the microcomputer chip permits setting 2 countdown times into memory. The memory recalls the last countdown time set. 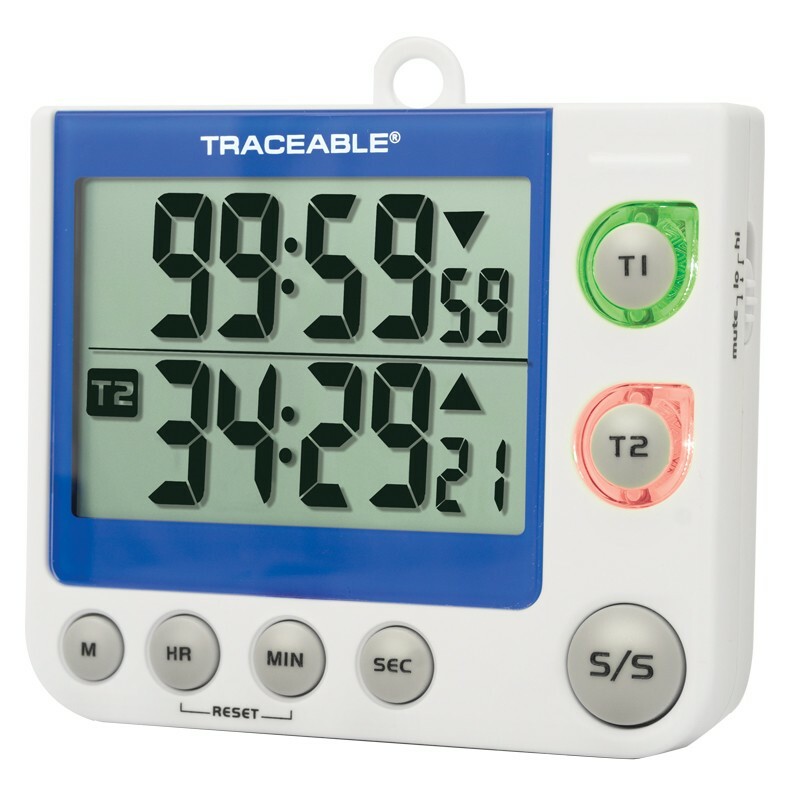 Traceable® Certificate, magnetic back, stand, opening for a lanyard, and batteries.